For Kuwaiti Sheikh Ahmad Al-Fahad Al-Sabah, long seen as one of the three most powerful men in international sports, resignation from world soccer body FIFA could be the beginning of the end in more than one way. Not only for the Kuwaiti’s political and sports governance ambitions but also for the system FIFA is struggling to revamp but not fundamentally reform that allowed Mr. Ahmad to rise in the first place. 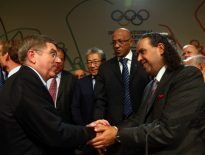 Mr. Ahmad, a pony-tailed member of Kuwait’s ruling family, and former minister and head of OPEC, is the living denial of a separation between sport and politics, a fiction upheld by both international sports associations and governments. The fiction allows sports and political officials to politically corrupt sports, an environment that has enabled financial and performance corruption. A statement by the US Attorney’s Office in New York’s Eastern district did not refer to Mr. Ahmad by name. The statement asserted however that Richard Lai, a member of FIFA’s audit and compliance committee and president of the Guam Football Association, had received more than $850,000 in bribes between 2009 and 2014 “from a faction of soccer officials in the AFC region” to help “officials in that faction identify other officials in the AFC to whom they should offer bribes. The goal of this scheme was for the faction to gain control of the AFC and influence FIFA,” the statement said. Mr. Ahmad is believed to be one of four co-conspirators listed in Mr. Lai’s indictment that include a Kuwaiti official of the Olympic Council of Asia (OCA) that has been headed by Mr. Ahmad for the past 26 years. Mr. Ahmad’s resignation constitutes the first instance in which US legal proceedings against corruption in global soccer governance have touched Asia. Mr. Ahmad has denied the assertions made by Mr. Lai, who pleaded guilty to wire fraud conspiracy in the United States, as well as past allegations that the OAC had offered bribes to influence past elections in the Asian Football Confederation (AFC). Mr. Ahmad’s decision to resign and not to run for re-election at this month’s FIFA congress in Bahrain puts an end to his effort to exploit his international sports stature to further his political ambitions in a bitter power struggle within Kuwait’s ruling family. To be fair, both parties within the family played politics with sports. Mr. Ahmad’s position, however, allowed him to persuade the International Olympic Committee (IOC), of which he is a member, as well as virtually all international sports associations tosuspend Kuwaiti membership as part of the Kuwaiti politician’s bid for power. Mr Ahmad has long used his position to put his own men in office. 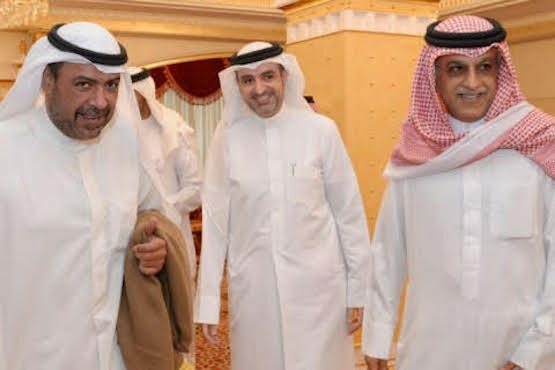 AFC President Sheikh Salman bin Ebrahim Al Khalifa, a controversial member of Bahrain’s ruling family, has long enjoyed Mr. Ahmad’s support amid repeated allegations of vote buying in elections that brought him to office. Allegations of OCA bribery date back to a bitter election campaign in 2009 that Mr. Salman lost. Inside World Football reported that the OAC had offered several AFC members financial incentives if they voted for Mr. Salman. News reports said OAC officials accompanied Mr. Salman on several of his stops in Asia during his successful 2013 campaign for the AFC presidency. Citing its own sources as well as Reuters, Inside World Football reported further that the OCA had built domestic pressure in China to persuade then acting AFC President Zhang Jilong to drop his plans to run for office. Inside World Football in 2013 disclosed a letter by then AFC general secretary Dato’ Alex Soosay to the group’s 46 member associations asking them to remember their “ethical obligations” when casting their vote. Mr. Soosay was later forced by this blog to resign on charges of having sought to squash evidence related to financial corruption within the AFC. In return for Mr. Ahmad’s support, Mr. Salman manipulated in 2015 AFC election procedures to ensure the Kuwaiti a seat on FIFA’s governing body that would have enabled him to eventually run for the FIFA presidency. Mr. Ahmad’s plans suffered a severe setback with the indictment of scores of FIFA officials on corruption charges in the United States and the demise in 2015 of former FIFA president Sepp Blatter. The manipulation should have been a wake-up call for the problems involved in non-transparent political dealings in global soccer designed to not only maintain political control but also ensure that a closed circle of executives and politicians remained in power. 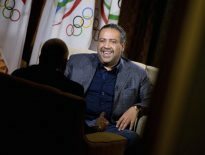 Mr. Ahmad’s resignation from FIFA raises the question how long his 25-year long membership of the IOC will remain tenable and whether he can survive as head of the OCA as well as the Association of National Olympic Committees. It also casts a shadow over Mr. Salman’s presidency of the AFC that is likely to come under greater scrutiny as US investigations proceed. As world sports reverberates from Mr. Ahmad’s resignation and considers the Kuwaiti’s future as an international sports governor, it will also have to question the mechanisms that allow men like Messrs. Ahmad, Salman, and Bin Hammam to rise. That would have to involve questioning the viability of maintaining the fiction of a separation of sports and politics. Mr. Ahmad’s resignation and possible demise may not be the straw that breaks the camel’s back but it certainly tightens the noose.